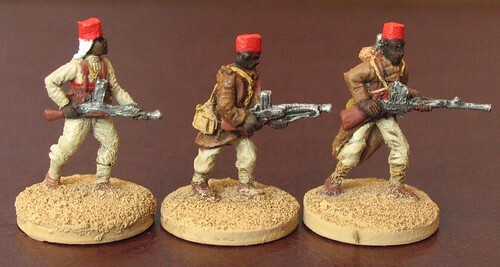 Changed title from "1:72 / 20 mm Senegalese Tirallieurs pulp WW1 Interwar WW2" to "1:72 / 20mm Senegalese Tirallieurs pulp WW1 Interwar WW2"
Today I would like to present platoon of Senegalese Tirailleurs, my interwar French third platoon, supporting last month presented French Foreign Legion. 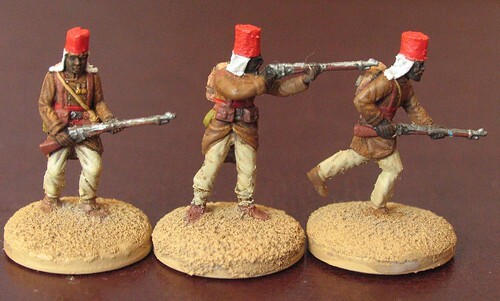 One of the most versatile groups of figures. From 1916 to 1964. From French Guiana and the Caribbean, through France 1917, 1940, 1944; Belgium, Norway, Morocco, Algeria, Sahara, Egypt, Libya, Chad, Congo, Italy, Corsica, Dardanelles, Syria (uprisings and actions against the British and Free France in 1941 ), Djibouti, Madagascar ( against the British in 1942 and the Malgas uprising), India (Pondicherry), entire Indochina, Franco-Thai war , China (French concession in Shanghai), and ending with the islands of Polynesia (pulp with cannibals, such as " Tales of the Golden Monkey")…. 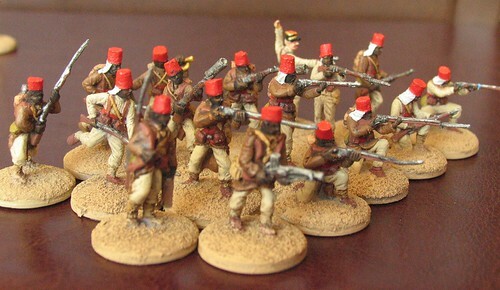 very nice mate, my Senegalese are mostly Waterloo1815 plastics (Anglo-Egyptian infantry) with their fez altered to look more like the Chechia. and will present few others.